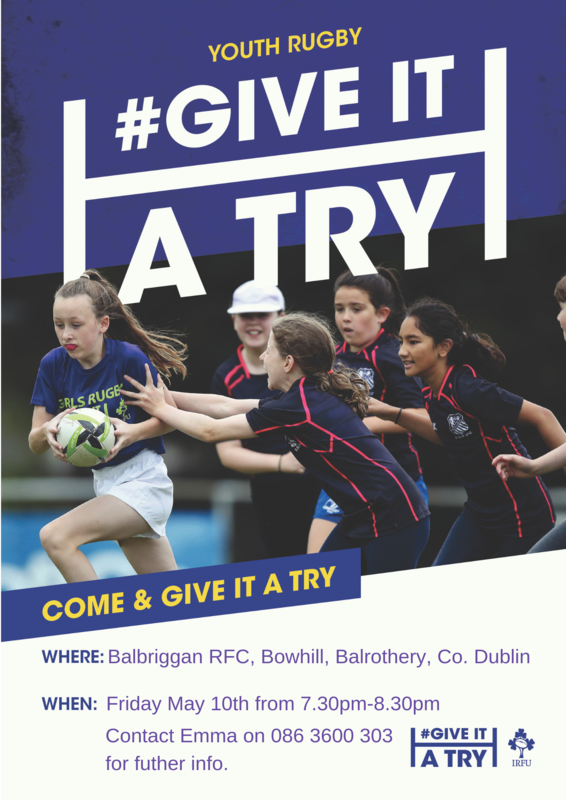 Fantastic opportunity at Balbriggan RFC for girls age 10-14 to Give Rugby A Try! 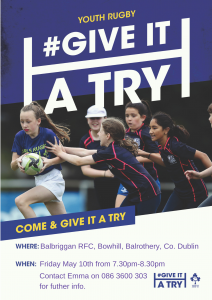 Balbriggan RFC is one of the 70 clubs taking part in the IRFU ‘Give It A Try’ programme this summer. This 8 week programme begins at the club on Friday May10th from 7.30pm-8.30pm. 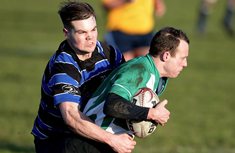 The course is suitable for complete beginners to rugby, and is being given by IRFU accredited coaches. At a cost of only €10 for the 8 weeks, it’s great value too. 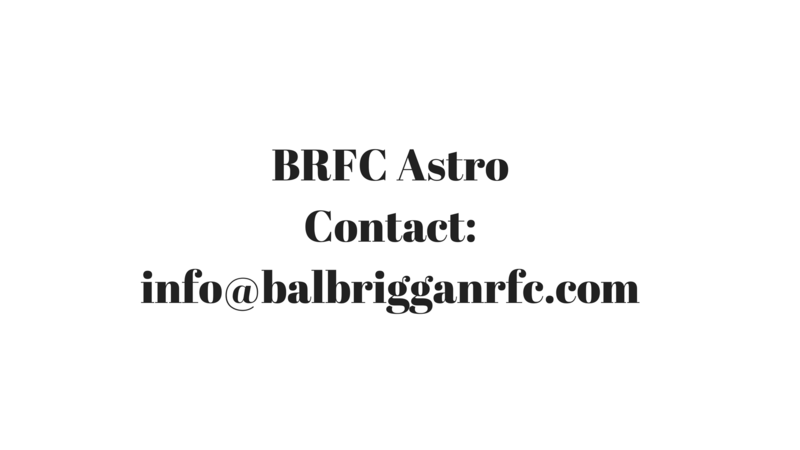 Contact Emma on 086 3600 303 or email info@balbrigganrfc.com for further information.